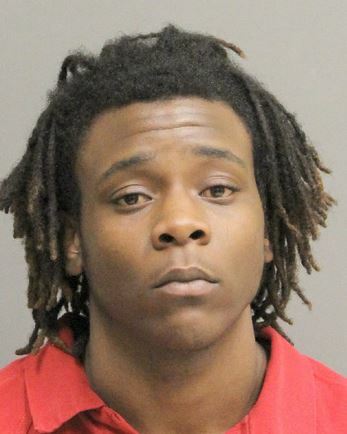 According to the Acadia Parish Sheriff’s Office, Belvin Savoy is now in custody. Detectives with the Acadia Parish Sheriff’s Office are seeking the public’s assistance to locate Belvin John Savoy. Savoy is wanted for the December 18th homicide of James Francis. Savoy is accused of shooting Francis after an altercation in the Kathy Apartment Complex. Francis suffered a single gunshot wound to the head and was pronounced dead at the scene. Savoy is described as a black male, 19 years of age, 6’1” in height, weighing 175 pounds. He has black hair with dreadlocks and brown eyes. His last known address is 200 Westwood Dr. in Crowley. Detectives have secured an arrest warrant for Belvin Savoy for Second Degree Murder. If you have any information regarding the whereabouts of Belvin Savoy, you are urged to call the tips line at 789-TIPS or download our P3 app on your mobile device to report your tip anonymously. All callers will remain anonymous and can receive up to a $1,000 cash reward for information leading to the arrest of Belvin Savoy.